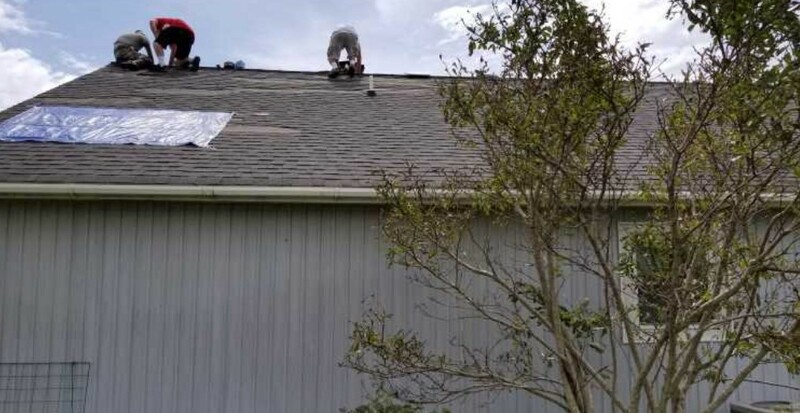 The 2018 Hurricane Florence devastated Eastern NC. Heavy winds, rain, and floodwaters have damaged homes and property, displacing residents and placing emotional and financial burden on our neighbors. As a community, we are always strongest during difficult times. Today more than ever, your neighbors need your support. 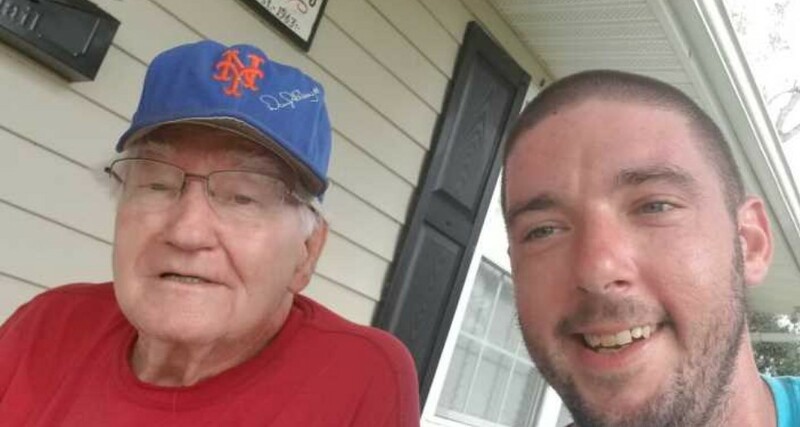 Volunteers from Hope Mission and our community teamed up to pitch and help those in need. Below are some wonderful comments from those serviced during this time. I am eternally grateful to Pastor Gene and his crew, words cannot express! As a widow I am on a fixed income and simply could not afford the clean-up I needed to have done. 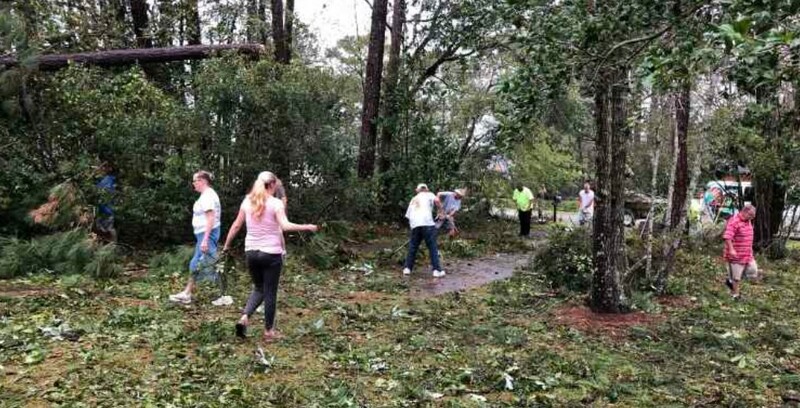 Hope Mission is such a blessing to our community to come out and work together so seamlessly and tirelessly as they cleaned the downed trees and debris from my yard. I am grateful, just so eternally grateful. There are no words to describe my heart felt gratitude for Hope Mission Volunteers. Looking at the property after the hurricane was devastating to my heart, my soul. Recalling memories of a hard working mother who tilled and spread grass seeds and plant trees nearly 40 years ago. Watching as those trees slammed against a small cottage (one of the last my grandfather built) and seeing it fall, praying every second that the tree laying across the cottage would not totally destroy it. Yes, there were many folks less fortunate than myself. But in my world, this was devastating, not only to me, but to my mother as well. 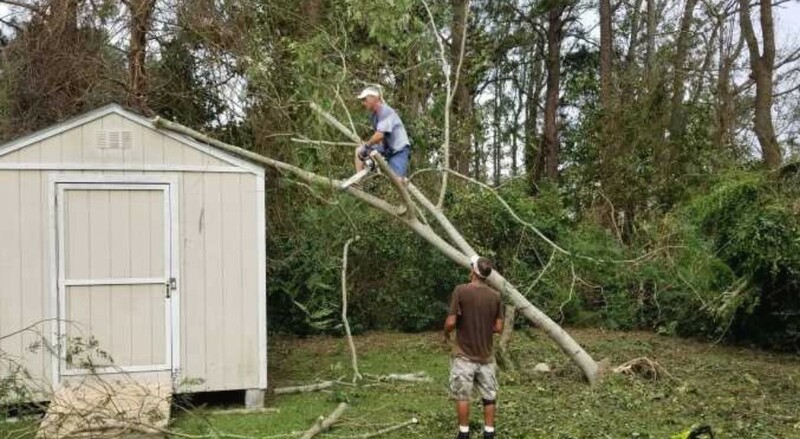 I knew there would be no way that my husband could cut trees down as he is an amputee. I was lost, lost with very little hope of how to fix things. Then I saw the Hope Mission van. My knees buckled and tears began to flow. It was really something to see all those people that volunteered to come out and help us! They cut down and removed the tree that had slammed the cottage and then they toted everything to the front ditch. As I pulled myself together just enough to hit the “Mother Barnhill” button on my phone I cried even more. As she answered the phone, I said sobbing “Momma, they came and got the trees removed. Everything is ok. It did not make it all the way thru.” Momma began to ask who had been there, i said Hope Mission. I listened as my mother cried across the phone. She had been so strong thru all of the weather but she finally broke. All she could do was say “Praise God, Praise God, thank you Lord for the people at that mission. Praise your name Father” It took a good while before I could hang up. See most don’t know but my mother had been hospitalized just this past Easter day. She actually died that day, but the doctors were able to get her heart started again and put her on support. So this was definitely a GOD send from Hope Mission. Amazing what eight men and one woman in recovery can do together by being known as “God’s A Team” when disaster occurs. To the Hope Mission A Team and those who support them, God’s Blessings. 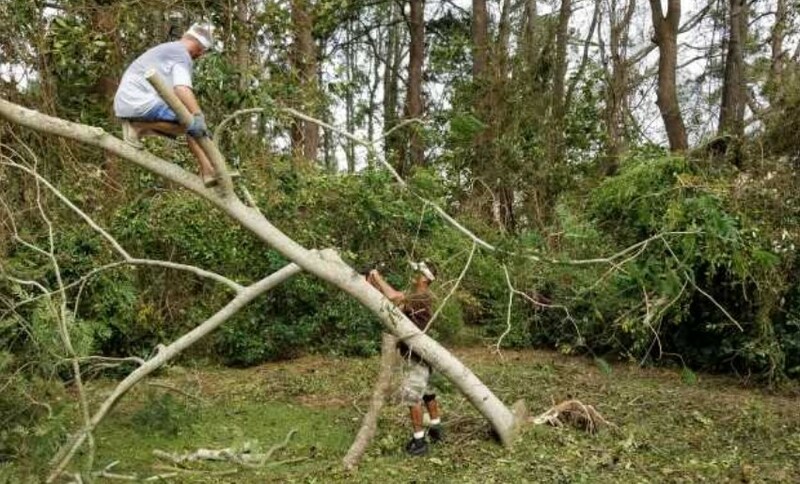 We want to thank Pastor Gene and the Hope Mission “Rescue Team,” They came into our yard and cleaned up fallen trees, limbs, and other debris from Hurricane Florence. They performed a miracle! What would have taken us weeks, they did in just couple of hours. We can’t thank you enough!